So they closed your favorite dive bar and put in a Lululemon in the name of “urban renewal.” Gentrification affects us all, especially when we enjoy all-day $5 PBR-and-a-shot specials or, y’know, affordable housing. On the flip side, blight is real, and American cities are recognizing how much value they’ve been ignoring in empty paved lots, in abandoned buildings, and in decrepit post-industrial spaces. Done right, urban renewal allows a city to claim more of its potential, without scrambling neighborhoods along the way. As urban cores grow, major projects are transforming cities large and small -- think old warehouses getting overhauled in Phoenix, or the former home of the Magic now housing Orlando’s creative class. It’s partly why some small and mid-sized cities are fast becoming great destinations to visit and live, while other US neighborhoods are about to grow like weeds, changing how you travel around America. Now that LSU has lost a home game to Troy, the good folks in Baton Rouge are developing the city into something other than a football destination. The place where it’ll happen is the burgeoning Mid-City neighborhood, home to the annual White Light Night party (one of the biggest art events in the state outside New Orleans), cafes, bars, and a longstanding Thursday night blues jam at Phil Brady’s. While young families have been moving to the once-blighted area for a few years now, it’s lacked a real destination center. That should change this year, though, with the opening of Electric Depot. The apocalyptic-looking power plant that has marred the landscape here is in the midst of one of the biggest industrial-facility makeovers in America. The 6-acre, $20 million project will center on the plant, redone to include a bowling alley, brewery, live music venue, and plenty of drinking and dining. It’ll also include rental units that people will, allegedly, be able to actually afford (prices have yet to be released) -- as well as a train station for the proposed New Orleans-Baton Rouge intercity rail. The facility will be a masterpiece of exposed steel, high windows, and restored brick, reminiscent of what Memphis did with an old Sears warehouse at Crosstown Concourse. Electric Depot will be the social hub for the city’s fastest-growing neighborhood, and more importantly, give Baton Rouge something worth seeing that’s not in a yellow helmet. For years, the only thing most people knew about Long Beach is that they had a cool, pyramid-shaped basketball arena, and that shooting dice there was probably a bad idea. But since 2012 the city has followed a growth plan that has placed it among the most walkable cities in America, sitting smack in the middle of sprawling Southern California. Within its surprisingly bustling downtown, you’ll find more than 50 murals covering building walls, a brewery at Beachwood BBQ and Brewing named the best brewpub in America at the Great American Beer Festival, and this year a new distillery at Portuguese Bend. Long Beach also committed $19 million toward park improvements last year, and in 2018 will be one of America’s first large urban areas to use an entire fleet of electric buses. Long Beach is also distributing 270 electric vehicle chargers to residents to encourage oil independence. It added 14 miles of bike lanes and launched a popular bike-sharing program, making the seventh-largest city in California a model for other traffic-clogged metros struggling to manage growth. Amway Arena, we barely knew ye. The house where Shaq began was reduced to rubble a few years ago when the spiffy new Amway Center opened, and city leaders wasted no time making big plans for the prime downtown real estate. The result is the new Creative Village, a billion-dollar, 68-acre technology and media hive designed to cement Orlando as a legitimate city of the future that people only half-associate with theme parks. Creative Village’s cornerstone will be the 15-acre joint expansion of the University of Central Florida and Valencia College, with beds for 1,500 students at their new downtown expansion that will begin opening in 2019. The expansion will focus on the schools’ media and technology programs, acting as feeders to the businesses located onsite. Those businesses will occupy some of the 1.2 million square feet of office space, developed to house Orlando’s 2,600 technology and media companies. It’ll also include just over half that much retail space, a 200-room Marriott hotel, and a SunRail station. The development sits in Orlando’s Parramore district, one of the rougher parts of town that will benefit from the PS-8 school on site and mixed-income housing. But perhaps the coolest thing about creative Village is that it used 98% of the rubble of the old Amway Arena in its construction. What’s resulted is the swath of industrial space in the Warehouse district attracting tech heavyweights like WebPT and Galvanize, with small startups and coworking spaces popping up around them. You’ll find people on the sidewalks in the evenings, perhaps grabbing dinner at The Duce, famous for its punching bag and boxing ring inside. Logically, people will begin living where they work and eat, so a 275-unit apartment project is on the way, joining the already-open 31-unit Stadium Lofts. Phoenix might not have a towering downtown in the sense people from the land-pinched east think of it, but the Warehouse District is finally giving the city a centralized place to work, live, and play. Believe it or not, BullStreet -- the $1.2 billion, 181-acre project a mile from the South Carolina State House -- is the single largest urban development project east of the Mississippi. The development on the former site of the South Carolina State Hospital, which sat in ruin for decades, is already the state’s first gigabit community, as wired as fast-internet hotspots like Chattanooga or Kansas City. 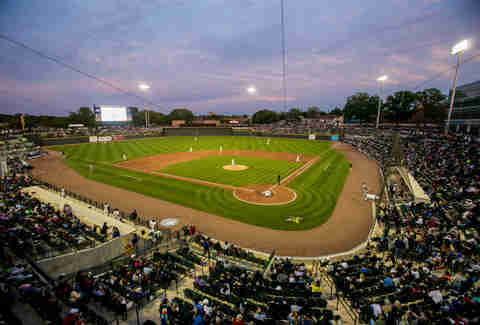 The cornerstone of the development is Spirit Communications Park, home to the Columbia Fireflies baseball team that has an office building integrated into its first base line façade. The team drew 20% more fans last year (had NOTHING to do with Tim Tebow), sure to increase further when 28 nearby townhomes are finished. BullStreet also features a SOCO coworking space called The Historic Bakery that aims to be the entrepreneurial incubator for the city. Add in an epic new Downtown Church and BullStreet will serve as the prototype for a 21st-century Southern community. Some 14 years since the wine buddy comedy Sideways tweaked merlot makers, little Buellton is finally capitalizing on its Hollywood fame. You can still stay at the Sideways Inn and eat at the Hitching Post, but the city is investing beyond its 15 minutes of fame to become an A-list wine destination. Industrial Way was for years a collection of warehouses and light manufacturing with a smattering of tasting rooms. In the past year it has added restaurants, breweries, distilleries, and all the other little charming businesses people look for in a well-rounded wine weekend. Industrial Eats is a welcomed new addition for food, using seasonal foods from the area in pizzas, sandwiches, and entrees, mostly under $15. Just down the street, you’ll find Figueroa Mountain Brewing Company’s original taproom, which in addition to bringing craft beer to wine country serves up gastropub food like you’d expect in LA or San Francisco. Distilleries have popped up here too, with Ascendant Spirits and Dorwood Distillery becoming neighbors with the eight tasting rooms on or around Industrial Way. The town that was once a jumping-off point to Santa Barbara wine country is becoming a destination on its own, with a main artery that’s every bit the picture of California Main Street. 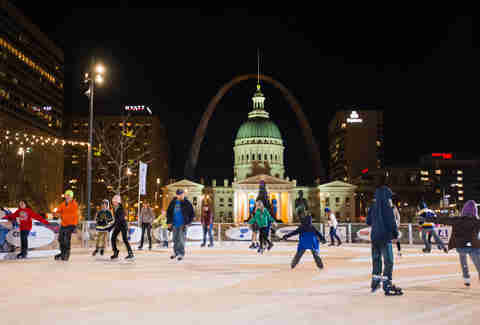 St. Louis has enough fantastic attractions to make it one of America’s most overlooked destinations, but its most iconic stop is among its more arduous to visit. 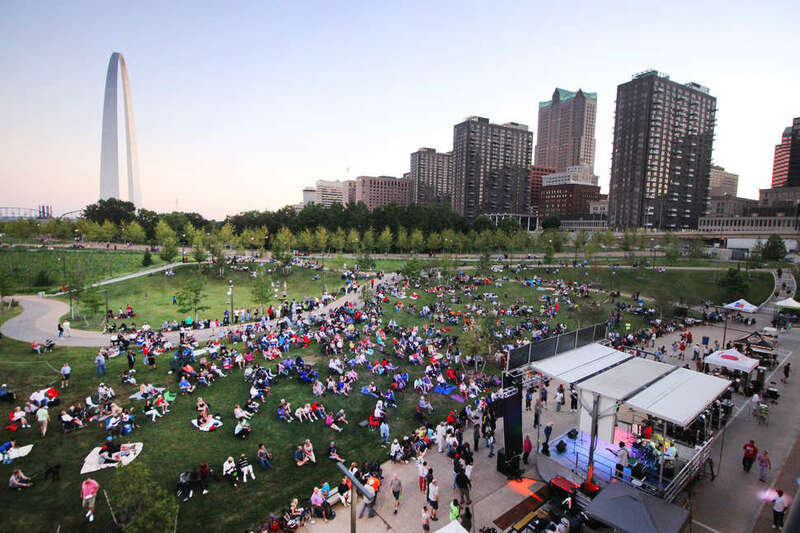 Hit STL during the wrong month, and you’re crossing a big highway to get to the Gateway Arch, standing in freezing cold or shirt-soaking humidity for tickets, cramming into an awkward waiting area, all for a fat 10 minutes at the top. That rigmarole changes this spring, when one of our nation’s great icons gets a $380 million improvement that’ll make it just as enjoyable a place to visit at the zoo or Forest Park. The new arch grounds begin with a park over the highway, so your walk from downtown St. Louis and the old courthouse now traverses a calming greenway that runs all the way to the Mississippi River. At the arch, you’ll find an expanded visitors center where your ticket line will be completely indoors, with a 46,000-square-foot museum to visit while you wait for your trip to the top. All told, the park will have 11 acres of new green space with more than 5 miles of walking trails, an amphitheater, and an elevated riverfront. For more than 20 years, the former site of the Oceanfront Dome music venue in Virginia Beach has sat as an oceanfront parking lot. The city views its development as the lynchpin in making VB a year-round tourist destination, and musician Pharrell Williams thinks he has the answer: a surf park. 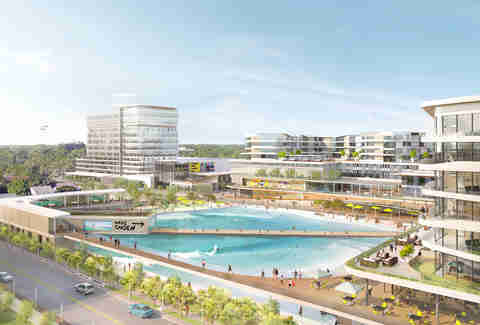 Last year, he and his partners entered into a deal with the city to develop a $20 million park as part of a $300 million retail development, where surfers can catch 6-foot artificial waves, 30 per hour. Beyond the surf park, Virginia Beach has seen some other attractive new developments. The historic Cavalier Hotel reopened this year, and after a $75 million restoration also opened the first distillery completely set in a US hotel at Tarnished Truth. Plans for a new 880-foot concrete pier jutting out from 15th Street are also in the works, complete with a Ferris wheel. Look for Virginia Beach within a few years to be considered a primo American beach destination, a jewel on one of the country’s most underrated stretches of coast. Matt Meltzer is a contributing writer to Thrillist who’ll never forgive them for closing Fox’s. Follow him on Instagram @meltrez1.